Yes, we are in the home stretch folks. Oscar has been dutifully counting down the days until Christmas by marking them on our little chalk board and removing a link from the chain. Today is single digits! Just 9 more days until we can all take a deep breath and gorge on stuffing. YES. 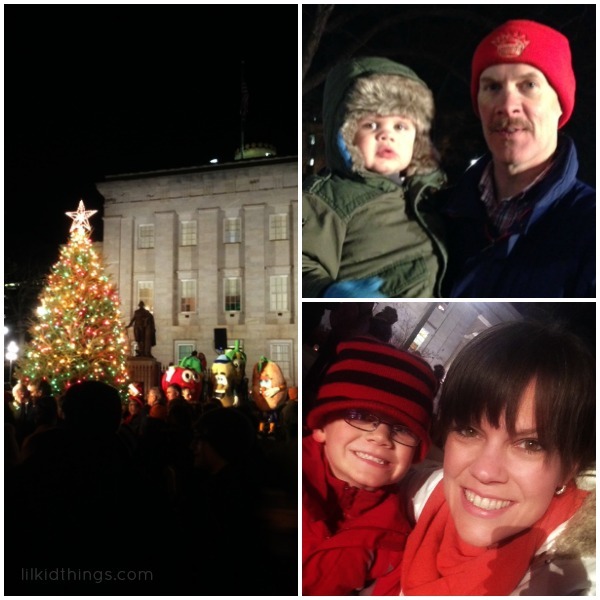 This weekend we did a lot of fun family things including our annual tradition (twice makes a tradition right?) 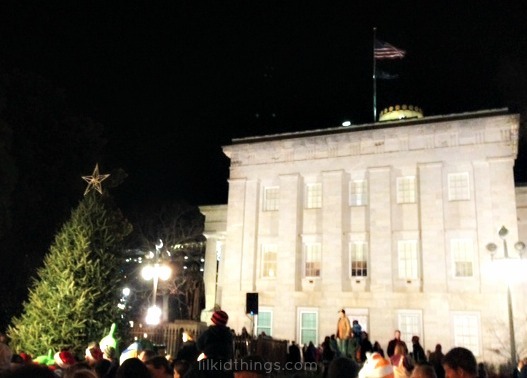 of attending the Raleigh Capitol Tree Lighting ceremony and having dinner at Capital Club 16. At the tree lighting, Santa Claus came out to say hello and Oscar yelled, “SEE he IS in real life!! !” which was adorable, but kinda puts a cramp in our plans to keep it simple and honest when it comes to ol St. Nick. On Saturday I went to the mall in the rain. 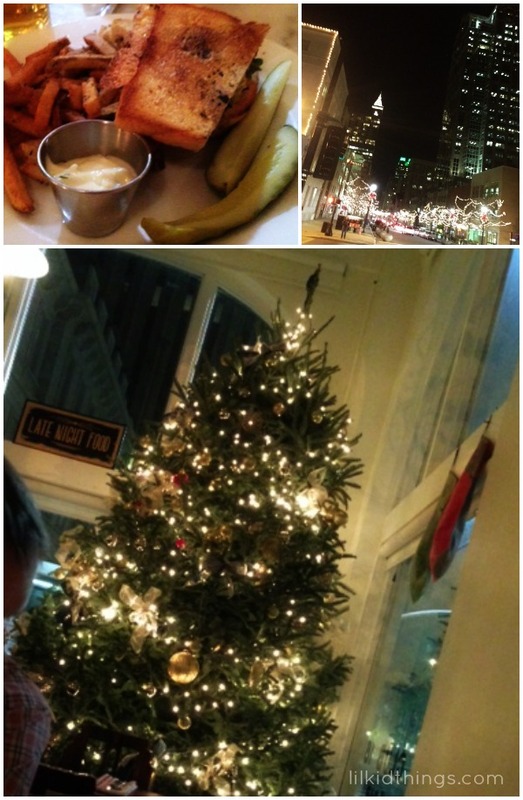 The 2nd to last weekend before Christmas. Yesterday, we had a fun family day shopping and eating and playing. 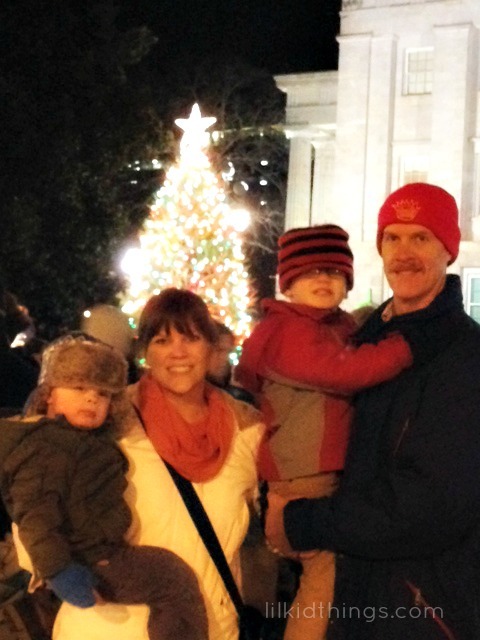 We hoped to get a photo with mall-Santa but the line was out of control so we skipped it. 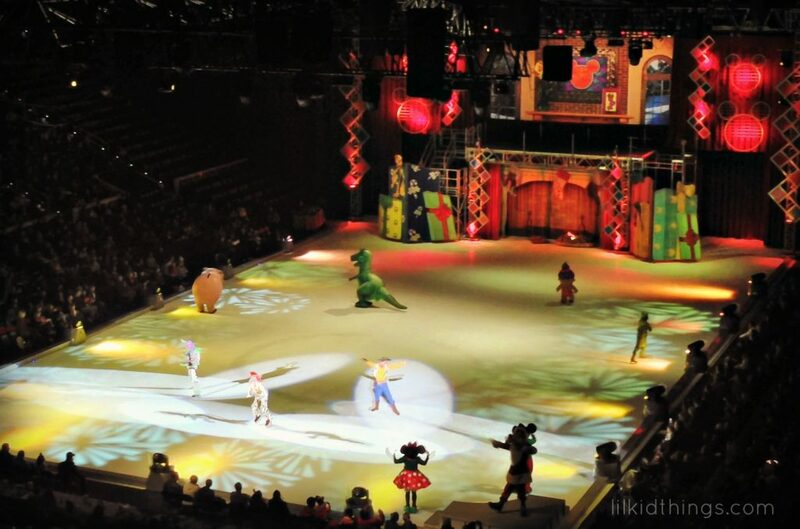 The boys had no idea so high-fives to mom and dad (that’s us!) for not talking it up ahead of time! 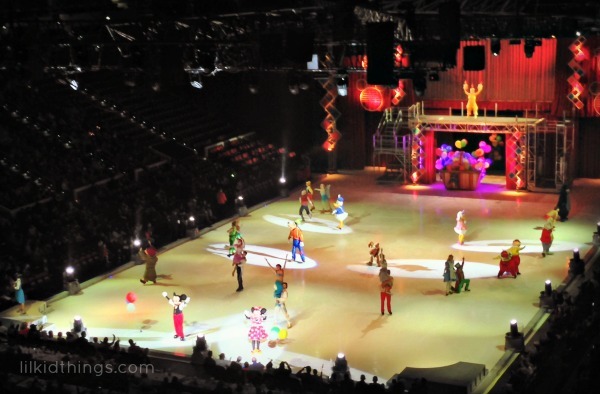 To cap off the weekend, the boys’ grandparents treated us to Disney On Ice: Let’s Celebrate ! We had a blast!! 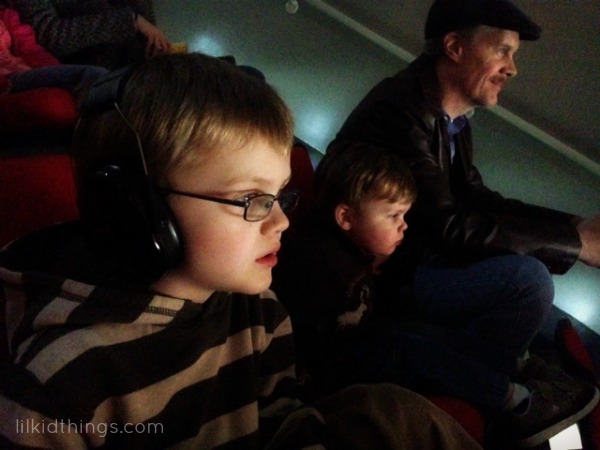 The show was so much fun to watch and the boys were enthralled. Once we had popcorn and lemonade? Forget it, we could have stayed all night. This week, I’ll be wrapping up some work stuff and of course, presents. Lots of presents! I am so ready to pack it up and disappear into the mountains for a week. Bring on the holidays!